Time again to look at what's going to be happening on the US version of Netflix, this time for April. April has Easter, the school holidays and some lovely weather, regardless of which hemisphere you're in. For Australians (or non USA residents really) that want to access the US version of Netflix, which has if not more content, then at least different content than the local version, the best way to do that is described in our updated guide here. Sure, there are other ways, cheaper ways, but none more reliable than what we have tested (and what we are actually using for ourselves). And sometimes the opposite is true, and if you're in the US, you might also want to check out some of the stuff in the Australian version that you won't get back home (which this month includes TV shows like 'New Girl' season 7, and movies like 'The Hateful Eight', 'Burning' and 'The Fifth Element ') - our method works the other way too! And while Netflix's library is out of sync geographically, there are still a lot of the same additions regardless of where you are, especially when it comes to Netflix originals. 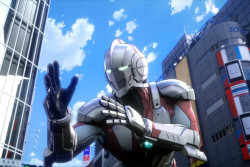 And so this article focuses on content that you won't get in Australia or hasn't been covered by our 'Netflix Australia: What's New in April' article (and also some stuff already covered but so good that they deserve a second mention), and so a quick glance of that article is recommended as well. If there's one major genre of show that's Netflix hasn't really tried to make, it has to be the zombie genre. I'm talking more about 'The Walking Dead' than 'Santa Clarita Diet', but there is now also 'Black Summer'. It's a prequel set in the 'Z Nation' universe, focusing on the early days of the zombie apocalypse. Stream the entire first season starting April 11. These two I've talked about already in our Netflix Australia April article, but are worth mentioning again because they're bound to be talking points in April. 'The Chilling Adventures of Sabrina: Part 2' premieres April 5, and the cool remake/reimagining of what was a funny and adorable show from the '90s has been a bit hit (and I wish they would take more shows from then and do something radically different to them - maybe a 'Family Matters' remake where Steve Urkel is actually a serial killer who has already killed his entire family, and that's why they never show up on the show). 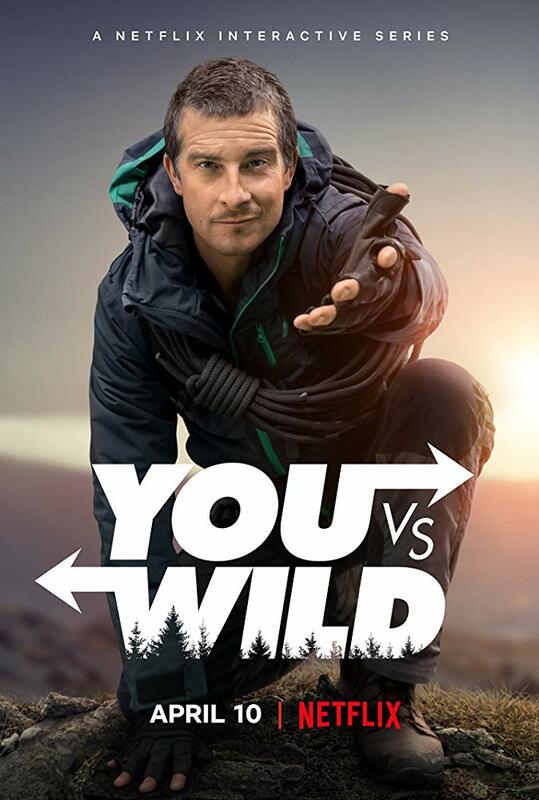 Then there's the interactive 'You vs. Wild' (April 10), where you control the fate of Bear Grylls as he sets out on another one of his adventures. So if he falls off a cliff repeatedly because you keep on making that choice, then that's what the show will be about (this Netflix preview has taken a rather dark turn). For the young and young at heart, season 2 of 'Pokémon the Series: Sun & Moon' and Netflix's take on 'Ultraman' both arrive on April 1, along with the adorable 'Rilakkuma and Kaoru' on April 19. And returning for the seventh and final season is 'New Girl' (April 10), the funny series will give fans some closure regarding the fate of Jess and the gang. Spoiler alert: they all live happily ever after. Except for Coach. There are some great movies coming to the U.S. version of Netflix in April, including some great non English pics. Before we get to that, we have 'The Silence', which seems to be Netflix's answer to 'A Quiet Place' with a bit of 'Bird Box' thrown in. You can stream the horror film, which stars Mad Men's Kiernan Shipka and The Hunger Game's Stanley Tucci, on April 12. On to those World Movies, first is Denmark's 'A Fortunate Man' ('Lykke-Per'), which is about a young man that breaks away from his devout Christian family to pursue a career in engineering, only to end up in a relationship with the elder daughter of a wealthy Jewish family. The film was the Danish entry for the Best Foreign Language Film at the 91st Academy Awards and you can stream it starting April 19. 'Burning' comes from South Korea and stars The Walking Dead's Steven Yeun, and interestingly, was South Korea's entry for the Best Foreign Language Film at the 91st Academy Awards. It's one of the most acclaimed movies of 2018, with plenty of twists, turns and mysteries to keep you glued to the screen until the final moment. Stream it on April 29. Other highlights includes the extended version of Quentin Tarantino's 'The Hateful Eight' (April 25), and classics like 'I Am Legend', 'The Fifth Element' and 'Pineapple Express', all arriving on the first day of April. And already mentioned in our Australian Netflix April preview, 'Our Planet' is Netflix's answer to the magnificent nature documentary series 'Planet Earth', and also narrated by Sir David Attenborough. Be awed starting April 5. As usual, lots of great content will be leaving Netflix in April, including the likes of 'American Pie', 'Heat', 'L.A. Confidential', 'Silver Linings Playbook', 'Luther: Series 1-4', and in anticipation of the upcoming war against Disney, the deletion of all 'Star Wars: The Clone Wars' content. So that's April on the U.S. version of Netflix. Pretty good, eh? Here's a list of everything that's coming to the US version of Netflix in April. Content highlighted above shown in bold below.